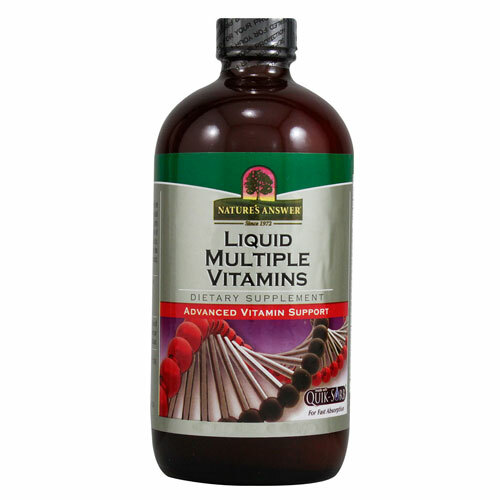 Nature`s Answer Liquid Multiple Vitamins provides advanced Vitamin Support with Quick-Sorb. Vitamins are important to all metabolic functions in the body. This formula supplies a complete group of essential vitamins including key antioxidants, in a highly absorbable form. Other Ingredients: Purified water, vegetable glycerin, fructose, natural tangerine flavour, xanthan gum, lecithin, potassium sorbate (0.2%), Quick-Sorb (ginger rhizome, amla fruit, capsicum fruit). As a dietary supplement take one tablespoon (15ml) daily with a meal, or as directed by your healthcare practitioner. May be mixed with water or food. Below are reviews of Nature`s Answer Liquid Multiple Vitamins - 240ml by bodykind customers. If you have tried this product we'd love to hear what you think so please leave a review.